Heucherella 'Yellowstone Falls'. 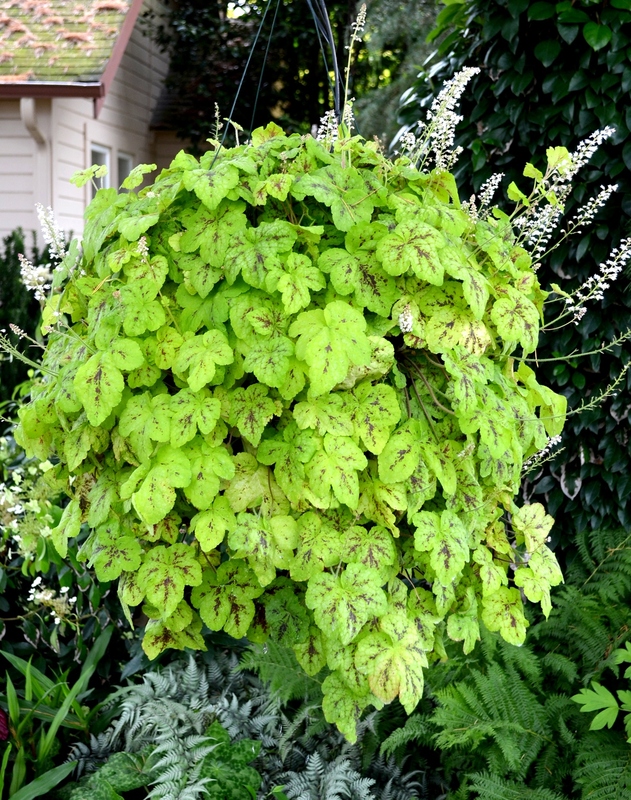 This newer foamy bells is a super trailer that will work well when used as a ground cover or in a hanging basket where it can drape over the pot's edge. 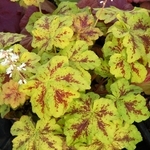 Performs best in a shadier location where its chartreuse foliage with crimson markings can be full appreciated. Another of the heat-tolerant hybrids that grows well in the south, actually thriving in the hot and humid conditions. A spectacular 2010 introduction from Terra Nova. PP#22313. MATURE HEIGHT: Foliage 6". In bloom 12".